Receive regular emails from SnapMade about new offers, seasonal sales, and other news when you sign up for their free email newsletter. 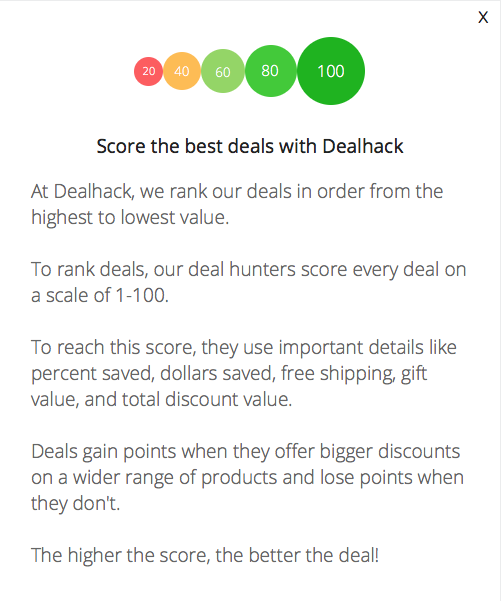 You can find the best SnapMade deals right here at Dealhack, but SnapMade also keeps all their active coupon codes in one place. Visit their coupon offers page to find great ways to save on your next purchase. If you’re looking to add a few quirky touches to your wardrobe and living space, you can browse SnapMade’s existing selection of personalized shirts, mobile phone cases, mugs, pillows, and more. Or you can create your own! Download SnapMade’s free apps on your mobile device to create your own shirts and mobile phone cases. SnapMade’s T-Shirt Design app and Case DIY app are available on the App Store. At SnapMade, you can open your own store! Artists, photographers, and graphic designers are welcome to upload and sell their own designs on hundreds of different products. All you need to do is upload your designs and SnapMade will take care of the printing and shipping. When you upload a design, you get to decide exactly how much you want to charge for that design. Your earnings will be sent to you via PayPal. In addition to Visa, Mastercard, and American Express, SnapMade also accepts payments through PayPal. What is Today’s Best SnapMade Promo Code? The best SnapMade promo code right now is FB20FBOFF. This code is for '20% off your order'. Copy it and enter it on the SnapMade checkout page to use it. SnapMade’s items are printed by hand so allow 1-3 business days for production. Shipping costs and delivery times vary depending on your exact location and selected shipping method. You can track your order by logging in to your SnapMade account and visiting the Order Status page, or you can follow the tracking instructions sent to you in the shipping confirmation email. SnapMade accepts returns within 30 days of purchase. You can have the product replaced, or you can ask for a refund. Shipping charges are not refundable, and you will be responsible for the return shipping costs unless you are returning a damaged or defective product. To initiate a return, contact SnapMade’s customer service team. Get in touch with SnapMade through the contact form on their website or by calling 1-347-756-6233. For more news and updates, follow SnapMade on Twitter and Instagram.